In this volume, the second of The Sufi Message of Hazrat Inayat Khan, an attempt has been made to group together most of the Sufi mystic's teaching concerning sound and music – sound as the basis of creation and music as an essential means towards spiritual development. Of the four books included in this volume The Mysticism of Sound was first published in 1923 and Cosmic Language in 1937. 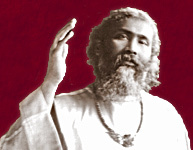 They consist of lectures given by Hazrat Inayat Khan to his pupils. Music is the title of a hitherto unpublished series of lectures of 1921, to which have been added some other papers on the same subject. Under the heading The Power of the Word have been grouped several public lectures bearing that title, together with two other important lectures: 'The Word that was Lost' and 'Cosmic Language', the former of which was published in the quarterly Sufism of September 1923.